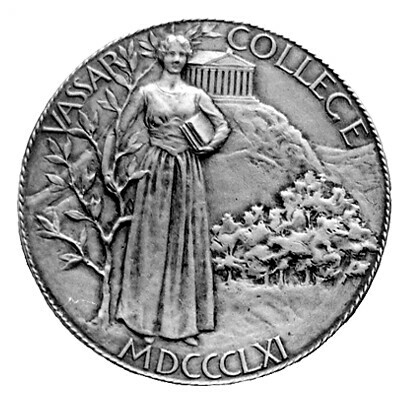 In the by-laws of the Board of Trustees from 1931, the design elements of the Vassar College Seal are stipulated as: ...a disc bearing the name of the corporation, the year of its organization, and the seated figure of Athena as patron of learning holding the olive as symbol of civilization, with a view of the Parthenon upon the Acropolis in the upper distance. These elements (Athena, the Parthenon, the college's name, and the year of its founding) constituted the college's seal from its first appearance in 1867, but the particulars of the seal's design and arrangement have changed and evolved over the years. The first college seal was adopted in 1867, and it appears in Benson J. Lossing’s book Vassar College and its Founder from that year. According to Vassar Historian, Elizabeth A. Daniels, the seal was probably designed by Lossing, a founding trustee of the college and an engraver. Lossing designed the original Vassar College stationery in addition to heading of a committee assigned with producing a seal. The seal was adopted in 1867, and it appeared on the graduating class's diploma the following year. 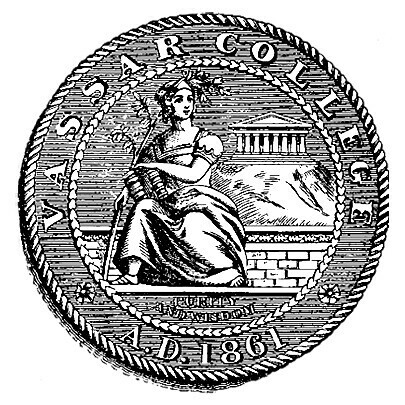 The original 1867 seal remained Vassar's seal until 1915 when, for the college's 50th anniversary, Merrymount Press created a special, lightly modernized design, substituting a laurel tree for the traditional branch, to be used on all things relating to the semicentennial event. In 1930, the Board of Trustees voted to redesign the official college seal, because the old seal had "worn out." This new seal would include all elements of the old, except for the motto, "Purity and Wisdom" and the brick wall upon which Athena was seated. Also, Athena's Greek dress was altered in the new design to make her appear more classical. 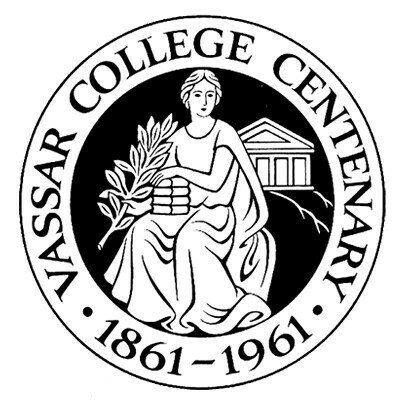 This updated design was executed by Jennings Hood of Philadelphia, PA.
Just as Vassar's semicentennial warranted a special seal, in 1961, in honor of the college's centennial, a seal was designed to accompany all materials relating to the event. Designed by Spiral Press, the centennial seal was a stylized version of the 1930 seal. 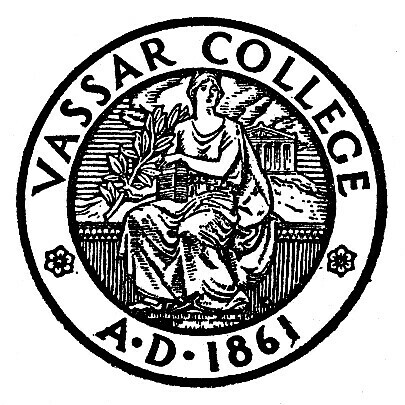 Except for the commemorative seals featured in special events, the 1930 seal remains Vassar's official seal.